Boulder City lies less than 30 minutes southeast of Las Vegas in the Mojave Desert. According to a 2014 Census Bureau report, the population of the community was 15,386. Although culturally diverse, the majority of residents are Caucasian. The scenic location is enhanced by nearby Lake Mead, the Painted Desert and River Mountain. Potential residents are happy to learn that the crime rate in the city is nearly 70 percent lower than the Nevada average and 64 percent lower than the national average, which makes the area a great place to raise a family. In 2009, “Money” magazine ranked the community 6 out of 25 best places to retire. More than one-third of the adults living here have a bachelor’s degree or higher. The area was originally harsh, arid natural desert until the Bureau Reclamation and Six Companies, Inc. began construction on the community in 1931. The housing was developed to provide employees a place to live while building the Hoover Dam. The community remained under government control until 1959. The city was incorporated the following year. Some visitors are dismayed that gambling is illegal within city limits. However, the Hoover Dam Lodge hotel-casino and the Railroad Pass Hotel and Casino are situated just beyond the city limits. As of 2015, the average household income was $56,380. The average home costs $232,2000, and rent averages $1,200 monthly for a three-bedroom home or apartment. Local students attend two elementary schools, one middle school and one high school. The community high school is one of 14 in Clark County that earned a five-star rating. Upon high school graduation, students have the option of enrolling in the satellite campus representing the College of Southern Nevada. • Bootleg Canyon Mountain Bike Park-The destination is located in the northern region of the city and is close to Lake Mead and River Mountain. BMX cyclists enjoy the wide selection of 14 cross-country and 9 downhill-trails that cover 36 miles of varied landscape. The area also features hiking-only trails. • Hoover Dam-The facility offers guided tours of the dam and power plant. Guests learn basic facts by watching a short film in the visitor area. Guides then accompany guests to various locations throughout the facility. See the massive generators that regulate the water flow. Stand on one of the 30-foot diameter pipes, which moves water through the location. Explore the exhibit gallery and experience commanding views over the landscape atop the observation deck. The Hoover Dam Museum houses millions of artifacts dating back to prehistoric times. • Hoover Dam Kayaking-Take a self-guided or a guided tour of the picturesque Black Canyon at the base of the dam. Guests are welcome to use their own canoes or kayaks. However, vessels are also available for rent. Guided trips are provided by professionals who offer basic kayaking instruction. Tours include the kayak, safety equipment, beverages, snacks and transportation to and from your hotel. Part of the exciting adventure includes the chance to see native wildlife in their natural habitat. Paddle through the canyons along the Colorado River. Make your way through volcanic walls to the hot springs area. Enjoy the breathtaking scenery. • Nevada Southern Railway Museum-The museum features a number of historic steam engines and other equipment used to maintain the railway. On certain weekends, the facility additionally has model railroad displays. Guests also have the chance to embark on a 3.5 mile excursion along the Boulder Branch Line to Railroad Pass. Enjoy the ride in either an open-air care or a climate controlled 1930s Pullman car. • Lake Mead-At 112 in length and boasting 759 miles of shoreline, Lake Mead remains the largest reservoir in the United States. The Las Vegas Boat Harbor, the Lake Mead Marina are two of the four marinas that operate lakeside. The site additionally features the Alan Bible Visitor Center and Botanical Garden, which exhibits different varieties of cactus and other native plants. The varied landscape around the lake includes everything from protected coves and sandy beaches to rocky outcroppings. Guests enjoy a long list of recreational activities, which include boating, fishing, swimming, sunbathing and water skiing. Hikers venture around the 1.5 million acres of territory to explore canyons, valleys and mountains. • Spring Mountain Range-The scenic area features lush forests, picnicking facilities, hiking trails and camping sites during the summer. In the winter, Mt. Charleston is a favorite for hitting the slopes. The Lee Canyon Ski Area features a hotel and lodge. • Golfing-The full-service Boulder City Golf Course and the Boulder Creek Golf Club are open to the public. Each facility appeals to novice and experienced golfers alike. Practice facilities provide a full 200 yards to practice your swing. The video swing analysis system records your swing and provides recommendations for improvement. The venues additionally offer clinics and schools with instruction provided by PGA golfers. The Clubhouse at Boulder Creek features a pro shop, a grill, a bar, a coffee shop, locker rooms and a banquet facility. • Gold Prospecting Adventure Tours-The main office is located along the Nevada Highway and offers books and all of the equipment and supplies needed to embark on a prospecting expedition. The facility additionally offers all-day tours at Lake Mead where guests have the chance to learn hands-on gold prospecting techniques. Lunch is provided during the outing. 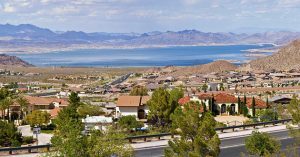 Our property management team specializes in residential areas throughout Boulder City, NV. We offer multiple services to take your rental property and convert it into reliable income. We have a thorough screening process that helps to identify the right tenants for your property. Our team works hard to keep both parties happy through effective communication, bullet proof lease agreements, and timely monthly rent collection. We offer maintenance services to enhance the property and ensure that it will retain or increase in value. We oversee everything, allowing you to sit back and relax and know that your property and your tenants are in good hands. Contact us today if you are ready to receive a comprehensive analysis of your rental property and to inquire about our Boulder City area property management services.